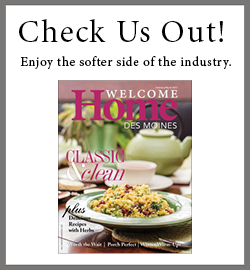 For the second year in a row, Classic Builders is the only Iowa builder to make the list. Awards and accolades are always nice. We like to be recognized for our work. In the home building industry, awards are given for design, innovation, livability, and dozens of other things. But one of the best testaments to a builder’s success is the number of homes sold—and the number of repeat clients the company has. So it’s no surprise that Classic Builders of Ankeny has been recognized as one of the country’s top builders. The Builder magazine annual lists of Top 100 and Next 100 builders features the builders across the country that have sold the most homes, based on both gross revenue and number of closings. For the second year in a row, Classic Builders is the only Iowa builder to make the lists. Started in 2006 by brothers Seth and Josh Moulton, Classic Builders has adapted to meet the needs of home buyers as well as the demands of the housing market in the metro area. Those years as builders of semi-custom entry-level homes provided Classic Builders with the necessary foundation to weather the housing downturn when it came. Unlike companies who specialized in high-end custom homes or spec homes, Classic didn’t have a large inventory or enormous financial investment in unsold properties. The housing downturn, which could have been a major business challenge, turned out to be the ideal time to make some changes in the company’s approach, Seth says. By starting Classic Development, the company had the opportunity to develop its own neighborhoods. Then the brothers took that opportunity to begin building more move-up, custom homes. Today Classic Builders focuses more on second or move-up homes, still offering a wealth of options for homeowners to choose from. A year after opening Classic Development, the Moultons built a new office and 3,000-square-foot showroom in Ankeny in the Plaza Shops area of Prairie Trail. Most of the family works from there, everyone from siblings to parents participating in the real estate business, the construction, or the development. Many of the Builder 100 companies stress a focus on disciplined growth. Seth says Classic Builders has taken a similar approach. Some of the builders on the Top 100 and Next 100 lists have been steadily moving up the lists for years. Some have spent most of a lifetime creating a niche for themselves before finally making the Builder lists. Classic Builders made it in less than a decade. That’s an accomplishment for any company, but maybe even more notable for a business run by two brothers who have yet to hit their 40s. Each year since 1984, Builder magazine has published a list of the top 100 builders in the country, based on gross revenue and number of closings. In addition to the list of companies, the magazine publishes a brief profile of each firm and the type of homes they build. For a number of years now, the magazine has also published its list of “The Next 100,” builders the publication describes as “up and comers” in the housing market. Below are links to the latest stories about these lists from Builder’s online edition.